Considering that the latest meeting of Editors Kingston twig took place on Valentine’s Day, we had an impressive turnout of eight editors eager to indulge their love of language before any other possible indulgences! The discussions were so animated, at the inaugural meeting of the Editing Canadian English book club, that we nearly forgot to take a break, even though an ample supply of heart- and maple leaf-shaped sugar cookies and other goodies beckoned throughout. 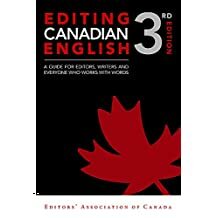 The third edition of Editing Canadian English, published in hardcover by UBC Press in 2016, was also recently released as an ebook. Lee and Elizabeth d’Anjou kindly brought hardcover copies of the first and second editions to the gathering, providing a visual history of the evolution of this flagship publication of Editors Canada. As soon as Ellie Barton had finished our introductory housekeeping, a thoughtful conversation began of where Editing Canadian English fit along the style-guide/reference-book continuum. Subtitled “A guide for editors, writers, and everyone who works with words,” the book is, we concluded, a great complementary reference to the mainstream style manuals, but does not supersede them by any stretch of the imagination. The Canadian version of the English language certainly has its quirks and editorial niches, and it’s in the specifics of these that ECE3 really shines. Spelling is the most obvious example, but editors can find guidance in ECE3’s pages on specifically Canadian language issues from the use of the metric system in recipes to the capitalization of government organizations to the styling of parliamentary documents in a bibliography. A lively discussion revealed a range of opinions on how necessary the non-Canada-specific aspects of the book are and how many of its book’s topics warranted an entire chapter. A lengthy exchange on the benefits and pitfalls of plain language launched our exploration of Chapter 2, “Inclusivity,” with some chuckling at the reference to “plain language evangelists.” The subsequent discussion ranged widely, and included concerns about the feasibility of reference and style guides keeping up with rapid changes to terminology showing linguistic sensitivity toward people with disabilities, individuals who identify as LGBTQ+, and other groups. While the plan had been to discuss Chapter 4 (“Compounds and Hyphenation”) as well, Chapter 2 monopolized most of the evening, leaving only time for a quick exchange of opinions on the maddening issue of hyphenation. Several of us noted that they found the ECE3 chapter on the issue especially handy. Ultimately, most participants agreed that ECE3 has done well with staying current and even anticipating future developments, and is a commendable addition to any Canadian editor’s toolbox. Elizabeth d’Anjou reminded everyone about the Editors Canada webinar programme; upcoming titles include “How to Handle Digital Photos” and “Getting Your Self-Published Client to a Finished Product.” She also put in an early plug for the national Editors Canada conference, which will be held May 25–27 in Saskatoon. 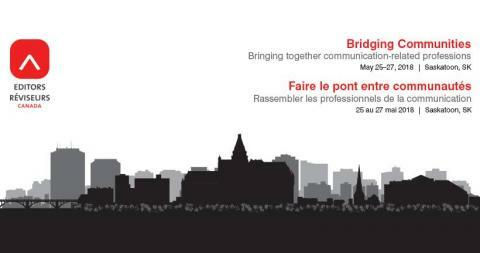 The theme is “Bridging Communities: Bringing Together Communications-Related Professions.” If you’ve been to a national conference, you know the experience is both invaluable professionally and a whole lot of fun. There is nothing quite like spending a long weekend with 200+ other people who get what you do! Our next meeting will be on Wednesday, March 14. What better way to celebrate Valentine’s Day than by indulging your love of language? Come to the monthly Editors Kingston twig gathering on February 14 for collegial company, networking, snacks—and the inaugural meeting of the Editing Canadian English book club. The third edition of this flagship publication of Editors Canada was published in hardcover by UBC Press in 2016 and was recently released as an ebook, available in all major formats, at the bargain price of $9.99 (or less). The suggestions in this chapter point to ways to avoid expressions that are insensitive of offensive and thus support bias. We have focused on four specific areas: ethnicity and race; gender; sexual orientation; and disability. In addition to these, the chapter looks at how plain language supports a style of writing that is more inclusive. ECE3 (as it is affectionately known) is subtitled “A guide for editors, writers, and everyone who works with words.” If that includes you, come join us! We’ll be exploring chapters 2 and 4: “Inclusivity” and “Compounds and Hyphenation,” respectively. (Reading the chapters in advance is encouraged but not required.) If you have a copy, bring it along. If not, that’s fine; there will be a few extras on hand, and we can project the ebook on our screen. Hyphens are necessary evils. They should therefore be used only when necessary. After much discussion and with overwhelming support from the group, we’ve decided that, beginning with our March gathering, to ask nonmembers of Editors Canada to pay $5 each to help cover the costs of room rental, gift cards for speakers, and refreshments. Newcomers will be invited to attend their first meeting for free.